It just wouldn't be fall without pumpkin. For me, Thanksgiving wouldn't be the same without pumpkin pie. I love all forms of pumpkin desserts. This year I was really worried that we might only have one pumpkin dessert this fall and that would be our one pumpkin pie at Thanksgiving. You see I still had one can left from last year, but our grocery store shelves were bare of any kind of pumpkin. I asked one of the sales clerks and she informed me that there was a pumpkin shortage. I had actually heard about the shortage last year, but we had pumpkin available all through the holiday season last year. So, I had asked David to keep an eye out for one or two cans of pumpkin while he was back east. Apparently, there was never a pumpkin shortage on the east coast as David said there was plenty in every store. Just to be on the safe side he sent up a case anyway. We thought if there really was a shortage in Alaska, some of our friends might want some pumpkin too. Shortly before the pumpkin arrived I came across a news article that said the pumpkin shortage was over and a few days later or store shelves were once again stocked. Now, I have a whole case of canned pumpkin. So, expect a whole lot more pumpkin recipes around here. Have any good recipes for canned pumpkin to share? Let me know. In a medium saucepan mix the milk, cream, granulated sugar, pumpkin pie spice, and salt. 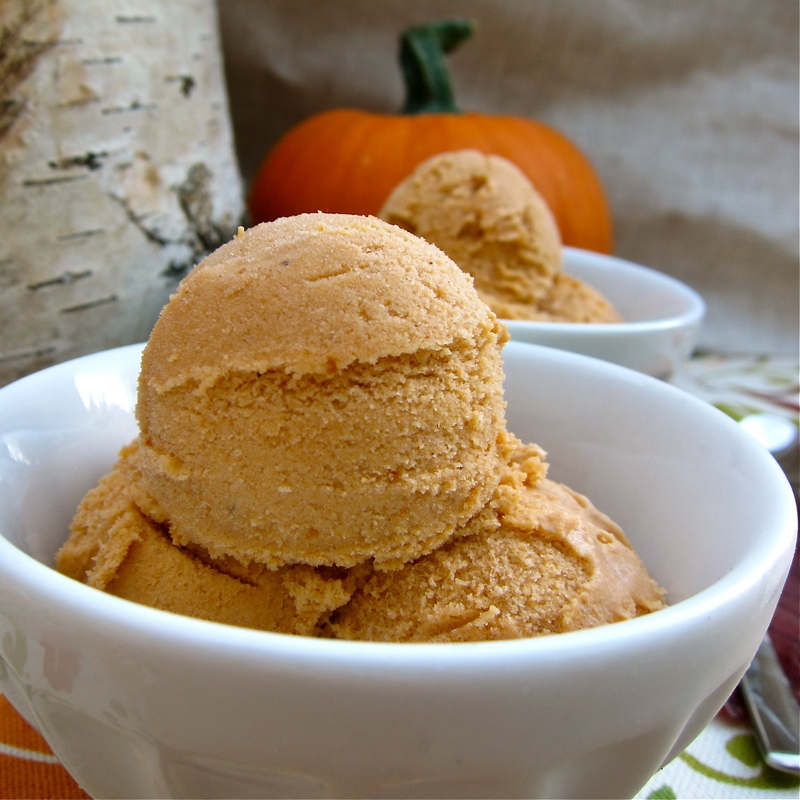 Oh man, I LOVE pumpkin ice cream. In fact when we were back in our hometown recently, I dragged the bf to the ice cream parlor just because they have a seasonal pumpkin flavor. Looks fantastic! 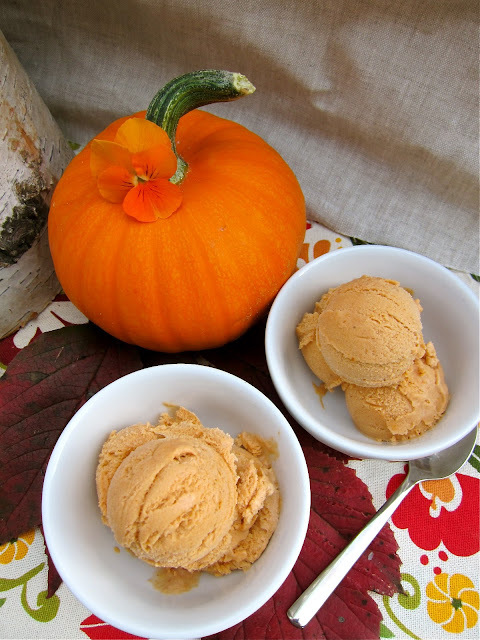 I've never tried pumpkin ice cream, but this sounds really good! I just made this ice cream over the weekend and it's incredible! Strange about the pumpkin shortage...here in CA we had it on the shelves a few weeks ago and I only bought 2 cans. Now it's nowhere to be found! I do hope that it makes its way back to our stores soon. This looks delicious! I love pumpkin ice cream, I'll have to try this recipe. Xiaolu- The first time I had pumpkin ice cream was at an ice cream parlor in Cincinnati, it was years before I found it again and I was so happy when it became more mainstream. Maria- I highly recommend it. Jeanne-I hope you find some, maybe the shortage was real. Amanda- Thanks and Yes, you should make some! Fork1- Let me know how it goes.